Windows Updates can be very annoying. First, let us take a look why people may want to turn off Windows updates. These options provided a way to defer updates until we had enough time to download and install them or to have them downloaded automatically and then install them at a time we wish. Microsoft has explained that it will provide updates in two distinct methods for its two distinct types of clients. First are the home users who will not have the option to defer upgrades. The updates will download and install even if they are working on something, making the computer slow in some cases. The PC however would restart only if you are not doing anything or it would restart at the scheduled time, if you have etone. Where a reboot would be required, the user might have to save his or her work and then reboot before going back to the work he or she was doing. 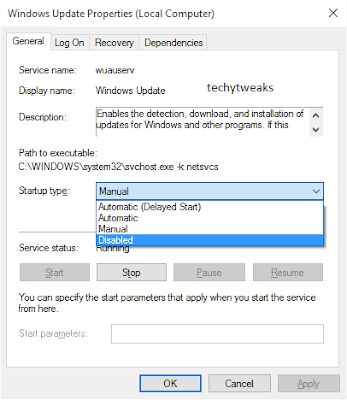 Of course, Windows 10 will let you defer restart, but that is not enough because a download in background might slow down your browsing in some cases. The other ring of users are the enterprise users who will have the option to delay updates, so that they can hold it to the time when they are free. Microsoft said it will push updates to such users less frequently, so that they are faced with a minimum down time. These are the corporates and real-time users such as hospitals and ATMs etc. Coming back to Home users and Professional users, there is not even the option to delay the updates. They will be downloaded as soon as they are available. Availability of Windows Updates for normal users means that the updates have already been tested by Windows Insiders. If you are a Windows Insider, running Windows 10 Home or Pro, you will be in first priority to receive updates. After few days of you testing the updates and if it doesn’t pose any problems, it will be released to the normal ring of users. Thus, you are stuck. Windows 10 will keep on downloading updates as soon as they are available and will occupy your computer resources, when you may not want it too. Some of us will want to keep the automatic downloads to be stopped so that we can install the updates manually when free – when we are not working on something urgent. That is to say, some users would want the liberty and option to download and install updates when they want and not when Microsoft provides it. We won't make you wait again,Now lets move on to the procedure for blocking windows update! In the Services window, scroll down to Windows Update and turn off the process. To turn it off, right-click on the process, click on Properties and select Disabled. That will take care of Windows Updates not being installed on your machine.